As one-half (along with frequent collaborator John Musker) of the duo often credited with re-establishing Disney as the home of inspired family entertainment, writer/director/animator Ron Clements shot to fame in the late '80s and early '90s with such classics as The Little Mermaid (1989) and Aladdin (1992). Even when Disney faced hard times, Clements remained faithful to the company which provided him with his first big break -- a rare show of character in the cutthroat world of show-business. A Sioux City, IA, native, Clements worked for a few months at Hanna-Barbara before enrolling in Disney's Talent Development Program; by the time he was finished with his two-year apprenticeship at the Mouse House, he had gained valuable experience working with supervising animator Frank Thomas. Character animation duties came with such late-'70s efforts as The Rescuers and Pete's Dragon (both 1977), and four years later Clements became the animation supervisor on The Fox and the Hound. An early collaboration with Musker resulted in the ambitious, but flawed The Black Cauldron (1985), and though that film didn't fare so well, the duo hit a home run the following year with The Great Mouse Detective. 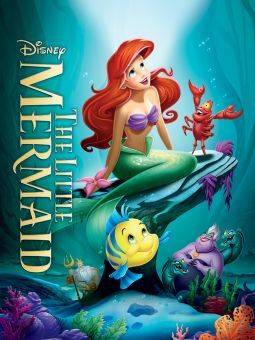 Based on a short that Clements had made in his years prior to joining Disney, it served as a suitable precursor to what would become the studio's biggest hit in some time, 1989's The Little Mermaid. Written and directed by Clements and Musker and based on a beloved tale by Hans Christian Andersen, The Little Mermaid proved just the breakthrough hit that Disney needed to bring its name back to the forefront of family entertainment. The movie possessed all the magic and wonder of the company's best work and, in 1990, it won two Academy Awards (Best Song and Best Original Score). 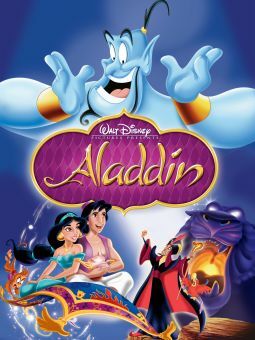 The team enjoyed continued success with the release of 1992's Aladdin, and that film was also awarded Best Song and Score Oscars. Though Hercules (1997) proved that their cinematic magic was still there, by the release of 2002's Treasure Planet (which Clements and Musker had pitched during their Little Mermaid years), the well seemed to have run dry. An inventive combination of Star Wars and Treasure Island, the film's richly rendered 2-D animation simply paled in comparison with such stunning Pixar efforts as Toy Story (1995) and A Bug's Life (1998), both of which contained as much heart as technical wizardry.